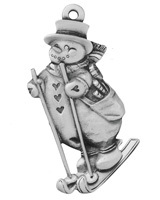 These may not be Frosty or Olaf, but they are the cutest and friendliest snowman you ever want to meet. Who doesn't love making a snowman. 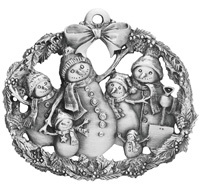 Let these detailed pewter ornaments bring back that joy all year round. For those of you that don't get enough snow to enjoy this fun, here is your opportunity to have your very own snowman, and pssst he won't melt. 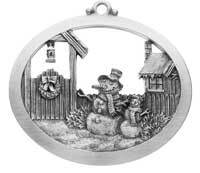 Most are able to be personalized with an engraved name, or date. 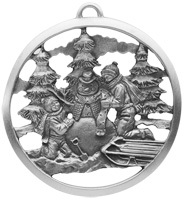 If engraving is not available check out our Engravable Bow Hangers.